I don't think I've seen any UK beer releases cause the same level of immediate excitement and buzz as when Cloudwater revealed on social media that they were releasing a very limited special second birthday DIPA (Double IPA). 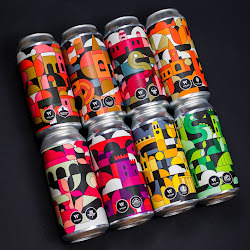 Announced on the 12th February for a release on the 13th and only available either via Eebria or in person from the brewery, the online stock was sold out within a couple of hours of it going live at 9.30am. Then through a combination of Cloudwater and Eebria's hard work and efficiency, come the morning of the 14th people were already receiving boxes of hoppy goodness! 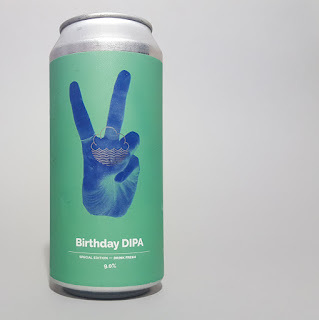 It was a marketing master stroke; not only did I suffer from a crippling dose of FOMO (fear of missing out), but once I decided to get some of the Birthday DIPA it made sense to also order some cans of the V12 DIPA, you know, just to maximise the return on the postage costs. 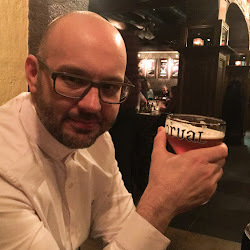 Fortunately my other half kindly offered to pick up the tab as my valentines gift; now that is love! 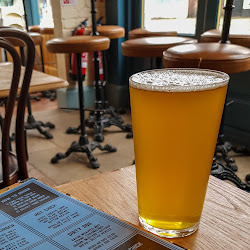 I am writing this review on the 22nd February, but as the beer was canned on the 13th of the month you can definitely still call it fresh. 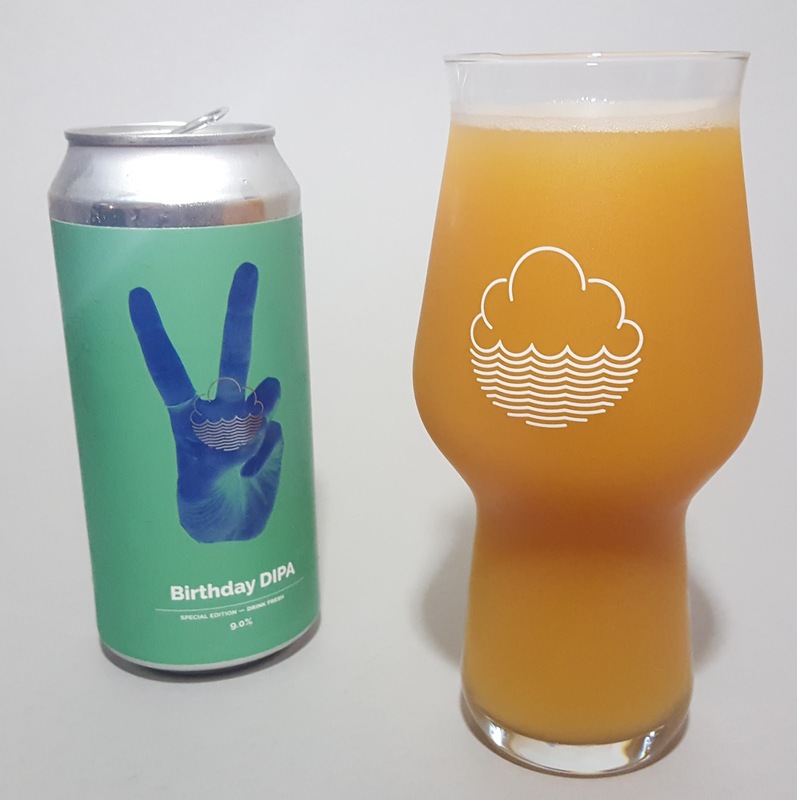 But I will also be referring to how the can tasted that I opened when I got home from work on the 14th. 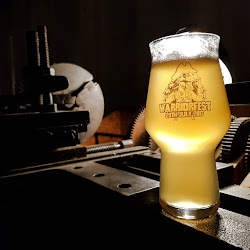 I don't think anyone can dispute how amazing it looks; the hazy yellow orange sitting in the glass like a fruit juice, barely letting any light through, with just a hint of a creamy white head. 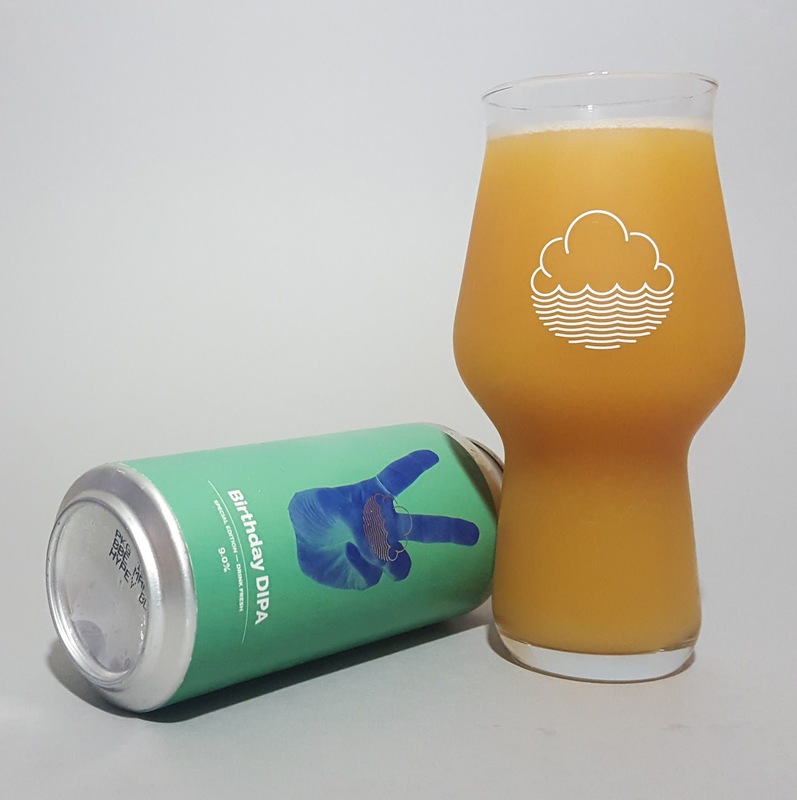 The nose continues the juice theme, with mango and pineapple the dominant tropical fruit aromas amongst many others. 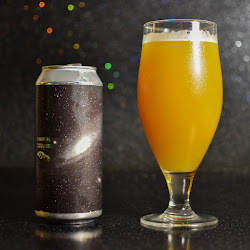 I think it may have mellowed slightly in the nine days since canning as the one I've opened tonight seems to have slightly less acidity than the first I tried. 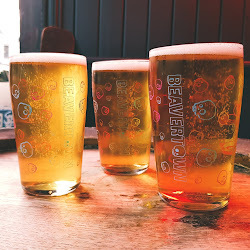 It has a lovely thickness to it which, with the smooth carbonation, gives it a lovely mouth feel. 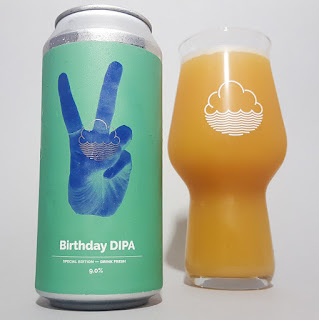 There is no doubt that this Birthday DIPA tastes amazing. 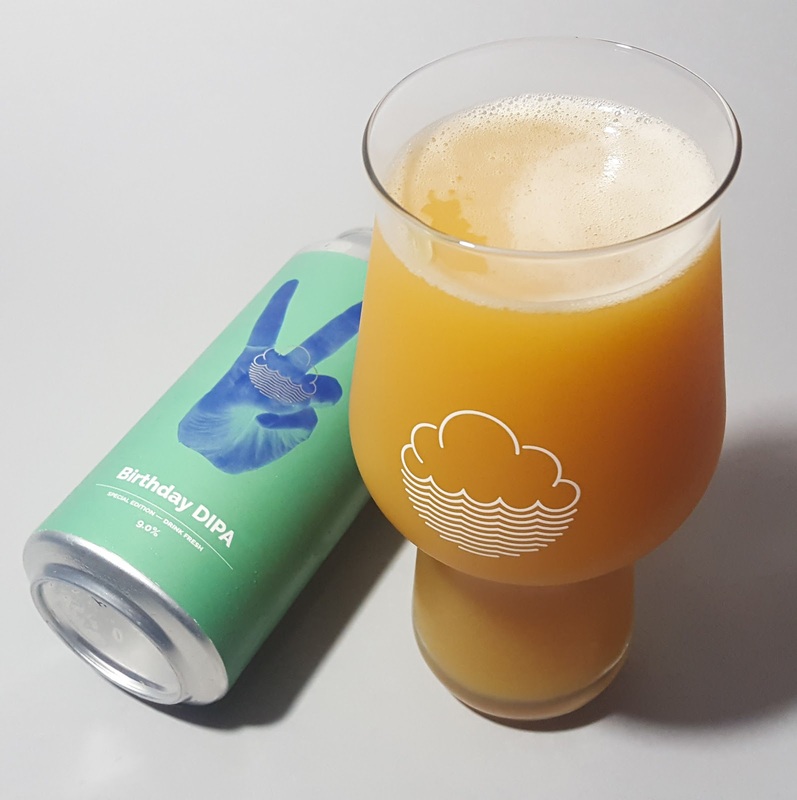 Flavours of mango, peach, pineapple and pithy grapefruit fill your mouth, but the resinous pine stops this from simply being an alcoholic fruit smoothie. In fact there's a bitterness, especially in the can opened today, that hasn't been evident in the previous Cloudwater DIPAs that I've tried. 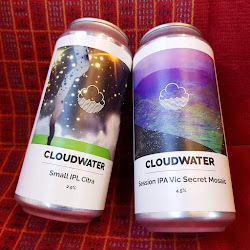 But I couldn't tell you where the alcohol is hidden as there's not much of the 9% ABV evident from the first sip to the last. 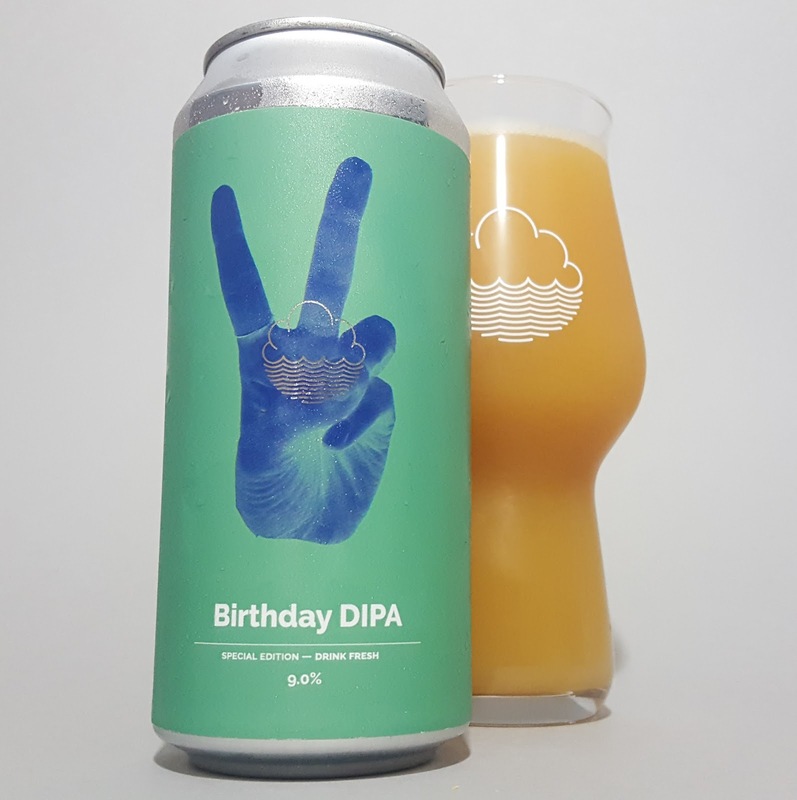 Cloudwater have produced something very special with this Birthday DIPA. 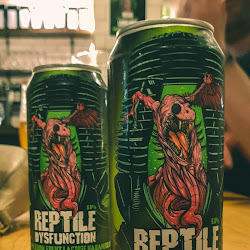 It actually isn't my favourite from them; V11 for me, with it's lack of bitterness, is close to perfection for this style of beer and is scarily easy drinking. But I am fully aware that this is simply personal preference. This Birthday DIPA is chock full of hops and has an incredible depth of flavours and aromas. In this Birthday DIPA Cloudwater are again showing that the East Coast of the USA does not have the monopoly in fruity cloudy DIPA juice bombs. 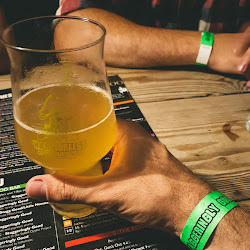 They have recently announced that they are going to be running this recipe again and this is great news for beer drinkers across the UK, Europe and (if they can get hold of it) even further afield. 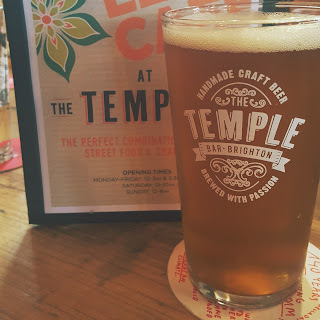 If you didn't get to try it this time around then do what you can to grab hold of can, you won't regret it. Oh my goodness we need to try this! 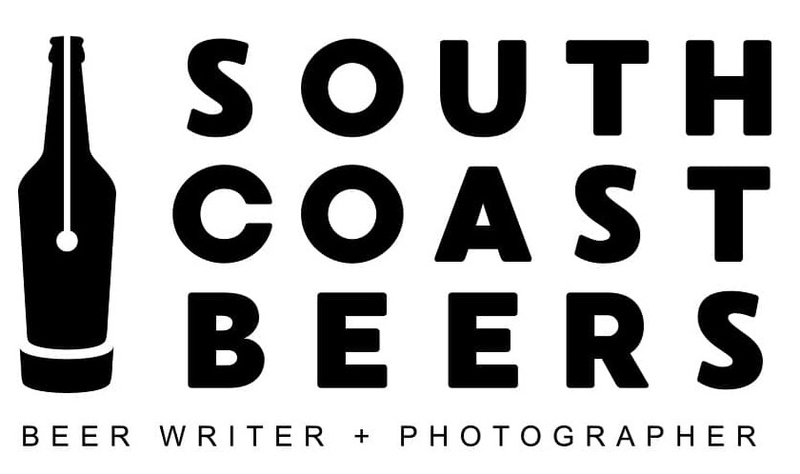 Love the photos and sounds like a great beer!! 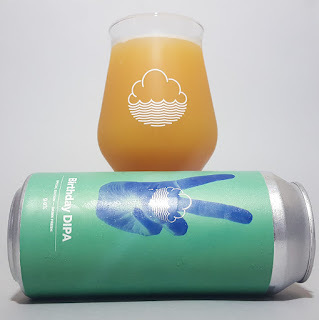 Cloudwater is another brewery on my bucket list to try. 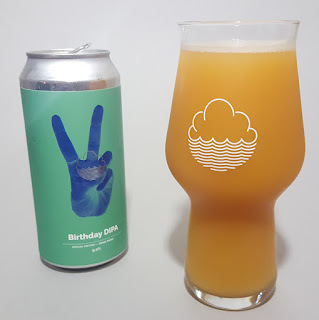 That is one hazy looking beer! Looks amazing and yet another great analysis! Haven't tried anything from these guys yet but this one looks awesome. Cool pics too!